Satins are a twill weave with either the weft (tram) or the warp organzine) going under a minimal number of threads and over a greater number of threads creating a soft texture on the surface of the ribbon. 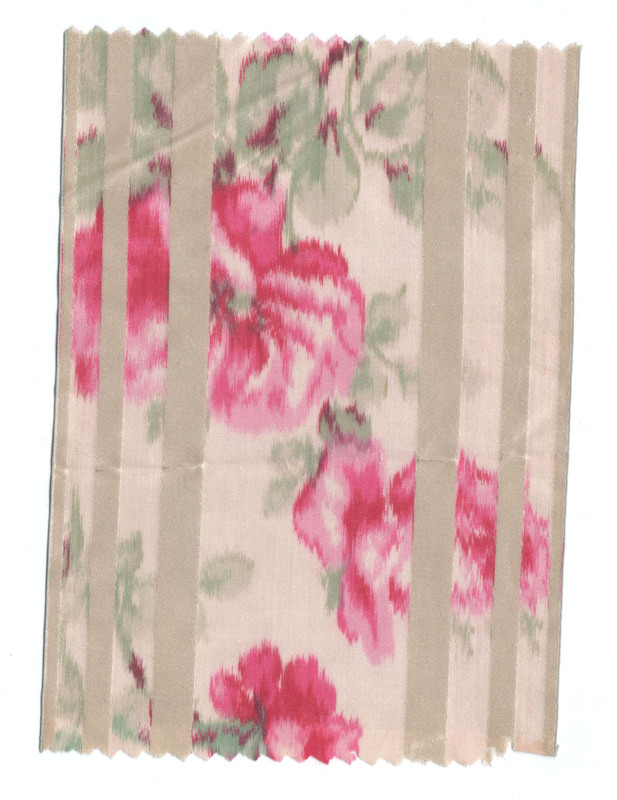 On a warp faced satin, the satin texture runs with the length of the ribbon. This is more common than a weft faced sating where the satin texture runs across the fabric. 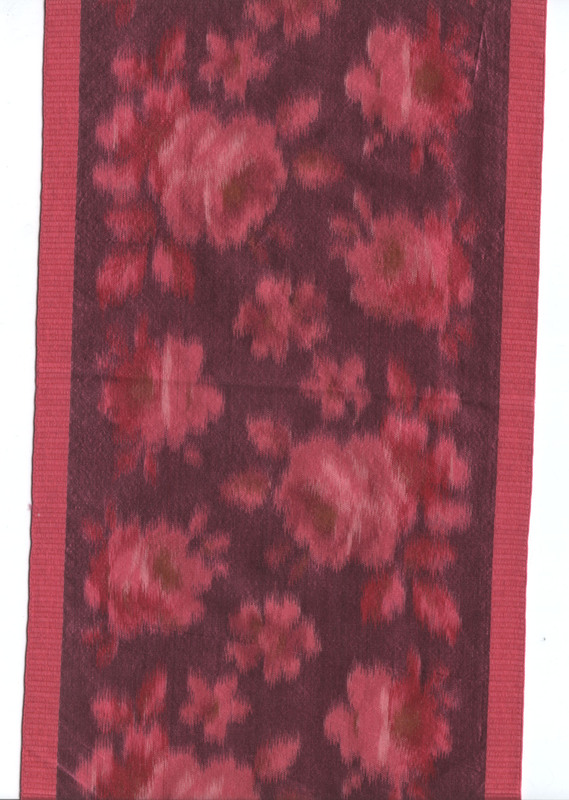 A – Antique silk warp faced satin. 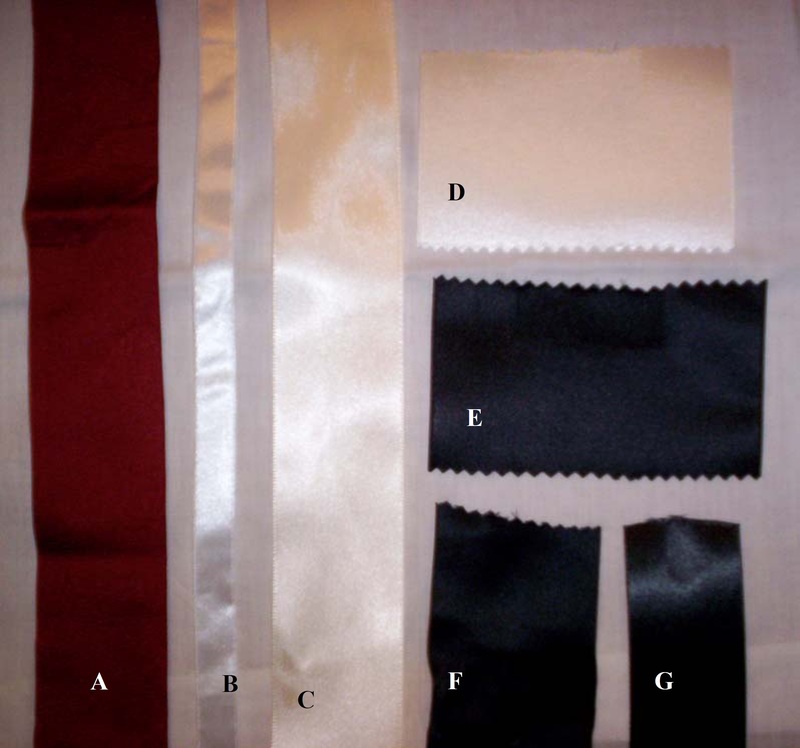 The satins show the most distinctive differences in the amount and type of shine each type of ribbon has. 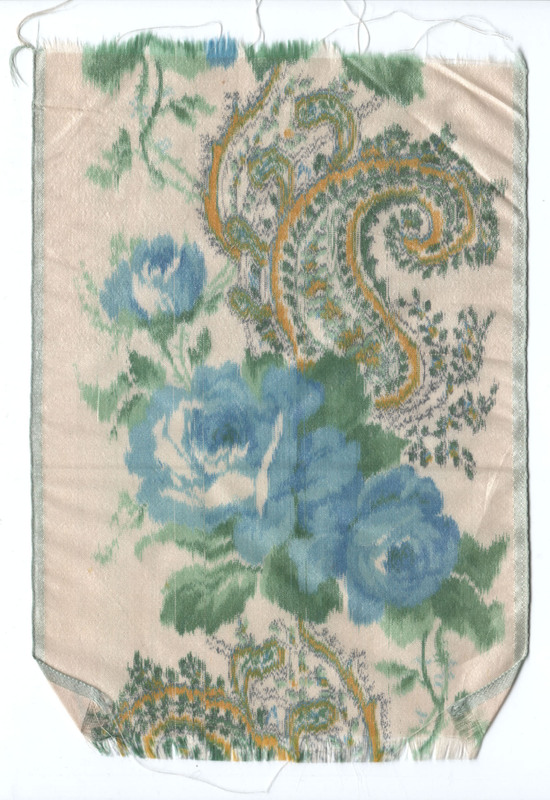 The antique silk ribbon (more true to color in the photograph than the scan) has an intensity of color with a sheen, not a reflective shine. This sheen is also evident in cdvs of silk garments. The modern silk (F) also has a sheen and not a shine. The light reflects differently on the polyester ribbons. The white, cream and black each have a shine to them, reflecting the light at the tops of the wrinkles. The light reflect can best be seen in the black ribbons. See how in the poly ribbon at the peak of the wrinkle the light shines more gray while on the silk ribbon the sheen doesn’t reflect a gray, but just shades the black? 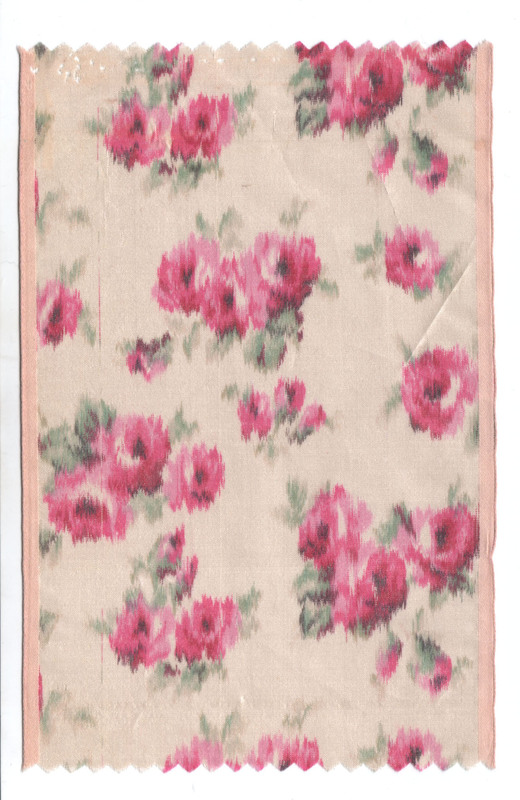 If you zoom in on the scan, you may be able to see the difference in the finished edge of the red and cream ribbons. The edge of the poly ribbon is thicker than the edge of the silk ribbon. The warp facing in the red silk ribbon shows longer threads than the poly ribbon. In the era, the longer the warp facing threads, the finer the ribbon. The silk also has more variation in the pattern of the warp facing than the poly ribbon, giving it a smoother appearance and feel than the poly ribbon.